PIERRE, SD – As a member of the U.S. House Agriculture Committee, then U.S. House of Representative Kristi Noem supported and voted for the nearly $900 billion 2018 Farm Bill. Among other things, the farm bill legalized the production of hemp, a form of cannabis with lower CBD levels than marijuana. 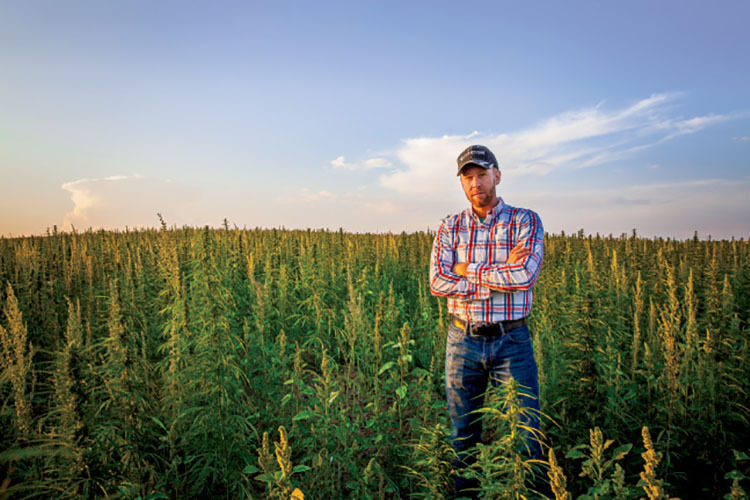 Now, as Governor of South Dakota, Noem has asked lawmakers to table efforts that would allow the cultivation of industrial hemp in the state. The Republican governor said in a Friday statement that South Dakota isn't ready for production of industrial hemp. Noem says questions remain about enforcement, taxpayer costs and effects on public safety. A House panel voted unanimously Thursday to advance HB 1191 legalizing industrial hemp in South Dakota. Democratic Rep. Oren Lesmeister, the sponsor, says there's an industry ready in South Dakota to start processing hemp products. But Noem says officials need to see federal rules once they're issued and decide if hemp is as "promising as they say it will be." HB 1191’s prime sponsor and Democratic Minority Whip Rep. Oren Lesmeister, D-Parade, said to committee members that hemp is unlikely to “save the family farm,” but said it could be an economic driver for the state and “another tool in the toolbox for farmers” for a profitable crop that could aid in crop rotations. The bill was supported by local farmers, beekeepers, the Sierra Club, the South Dakota Sheriffs Association, the Crow Creek Sioux Tribe and more. But the state’s Department of Public Safety opposed it, saying it left unanswered questions about how the crop would be transported throughout the state, as well as about cannabidiol, or CBD oil, a substance which can be derived from either hemp or cannabis and used for homeopathic or therapeutic purposes. The state’s largest agriculture organization - the South Dakota Farmers Union - urged legislators to continue discussions on the House bill, noting that neighboring states such as Montana, North Dakota and Minnesota have already legalized growing industrial hemp.